When Guardians Of The Galaxy was first announced, I’m not sure I even knew who they were, probably like a lot of people. Before the MCU even started I was into the comics, I remember reading them, my Mum got me a couple Civil War comics for a birthday present. So, I knew what was going on in the comics. When Guardians got announced I probably (most likely) did my homework. The Cosmic side of Marvel was a bit of a mystery to me aside from a few characters. I managed to track down some Star-Lord comics from the Annihilation event and I was hooked. By the time Guardians came out, I was pretty familiar with these characters and the film certainly did not disappoint. The writer / Director, James Gunn managed to bring together a team of people the general audience had no familiarity with and make us all care. What I find impressive is that Avengers took multiple movies to do this, while Guardians, does it in one. Gunn also manages to set the tone for the Cosmic side of the MCU, Thor: Ragnarok follows the style guide of Guardians so well and, is one of the reasons that film is so great. 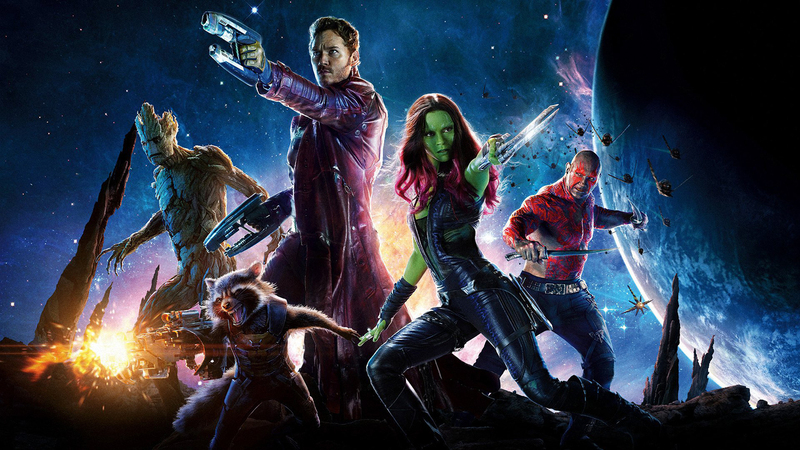 Guardians give each of the characters a moment of real emotional depth which sells the characters to the audience. This film also has one of my favorite visuals in the MCU, When Peter holds the Power Stone with the rest of the Guardians. That scene is visually stunning, the sound design and music work so well and it’s just freaking cool. Ronan is a big deal in the cosmic Marvel comics, in the MCU he’s still a good villain but he’s certainly the weakest part of the film. Aside from being a fanatic, there’s not too much depth given to him, other than his single-minded mission to wipe out the Nova Planet, Xandar. He’s certainly not the weakest Villain in the MCU, but not the strongest. Nebula is a stronger character as her motivations seem pure and you kind of sympathize with her, even more so in Vol 2. The real MVP of this film though…Thanos. We only have a few minutes with Thanos in this, but watching it as we now lead up to Infinity War I got so hyped up whenever he came on screen. The music in this film is just so on point with all of the 80’s songs. It’s actually a really clever plot device seeing as Peter grew up in the 80’s and when he was taken all he had on him was that Walkman and his Mother’s birthday present. It’s the one thing that connects him to earth, his knowledge of 80’s pop culture and the 80’s music. One thing that really stood out in the sound design for me where the ships, especially the Milano. The sound in this film is just very well done Sci-Fi goodness. Something I’m certainly going to return to in order to further my learning of cinematic sound design. Guardians expand the MCU further than ever before, not only introducing us to the colorful cosmic world of Marvel but the locations, people and Thanos himself. The humor, sound design, and visuals are at it’s best with this film and it’s easily one of my favorite MCU movies to date.